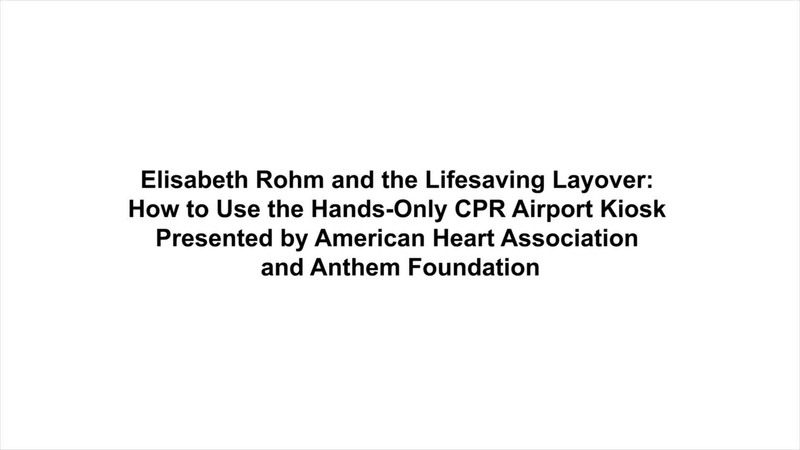 (Wednesday, Feb. 24, 2016) – Airport travelers can now put their time to good use and take five minutes to learn the simple, yet lifesaving skills of Hands-Only CPR via interactive training kiosks debuting at five major airport hubs across the country, courtesy of the American Heart Association (AHA) and the Anthem Foundation, the philanthropic arm of Anthem, Inc.
Each Hands-Only CPR training kiosk features a touch screen with a video program that gives a brief “how-to,” followed by a practice session and a 30-second CPR test. With the help of a practice manikin, or a rubber torso, the kiosk provides feedback about the depth and rate of compressions and proper hand placement – factors that influence the effectiveness of CPR. The kiosks will be available at Chicago O’Hare International (ORD), Indianapolis International (IND), Las Vegas’ McCarran International (LAS), Hartsfield-Jackson Atlanta International (ATL) and Baltimore-Washington International Thurgood Marshall (BWI) airports. Two additional kiosks will be available at The Global Center for Health Innovation in Cleveland, Ohio and Anthem’s office in Washington, D.C. The launch of these seven kiosks comes on the heels of the successful and life-saving pilot kiosk installed in 2013 at the Dallas/Ft. Worth International Airport (DFW) by AHA and American Airlines Occupation Health Services. This kiosk, which is located in Terminal C, Gate 7, has trained more than 25,000 travelers. Just this month, The Anthem Foundation was the recipient of the 2016 AHA Impact Award in recognition of impacting the lives of people across the country by bringing them the lifesaving skill of Hands-Only CPR. Five years ago, AHA simplified the steps of CPR to encourage more people to take action: if a bystander sees a teen or adult collapse, he or she should first call 9-1-1, then push hard and fast in the center of the chest to the beat of “Stayin’ Alive,” which has the perfect cadence for proper CPR. Hands-Only CPR removes the step of rescue breaths; bystanders should simply keep pushing until emergency help arrives. 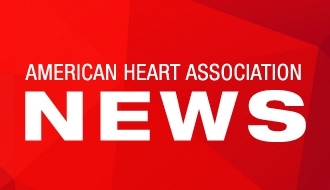 The timing of AHA’s kiosk launches coincide with American Heart Month (February), a federally designated month devoted to raising awareness about heart disease and educating Americans about what they can do to live healthier lives, free of cardiovascular disease and stroke. To learn more about the Hands-Only CPR campaign and learn how to save a life, visit www.heart.org/handsonlycpr or facebook.com/AHACPR. Visit www.heart.org/rcp for Spanish resources. The American Heart Association is devoted to saving people from heart disease and stroke – the two leading causes of death in the world. We team with millions of volunteers to fund innovative research, fight for stronger public health policies, and provide lifesaving tools and information to prevent and treat these diseases. The Dallas-based association is the nation’s oldest and largest voluntary organization dedicated to fighting heart disease and stroke. As part of our dedication to saving lives, we are setting out to train all Americans in lifesaving Hands-Only CPR. To learn more or to get involved, call 1-800-AHA-USA1, visit heart.org or call any of our offices around the country. The Anthem Foundation is the philanthropic arm of Anthem, Inc. and through charitable contributions and programs, the Foundation promotes the inherent commitment of Anthem, Inc. to enhance the health and well-being of individuals and families in communities that Anthem, Inc. and its affiliated health plans serve. The Foundation focuses its funding on strategic initiatives that address and provide innovative solutions to health care challenges, as well as promoting the Healthy Generations Program, a multi-generational initiative that targets specific disease states and medical conditions. These disease states and medical conditions include: prenatal care in the first trimester, low birth weight babies, cardiac morbidity rates, long term activities that decrease obesity and increase physical activity, diabetes prevalence in adult populations, adult pneumococcal and influenza vaccinations and smoking cessation. The Foundation also coordinates the company’s year-round Associate Giving program which provides a 50 percent match of associates’ pledges, as well as its Volunteer Time Off and Dollars for Doers community service programs. To learn more about the Anthem Foundation, please visit http://www.anthem.foundationand its blog at http://anthemfoundation.tumblr.com.